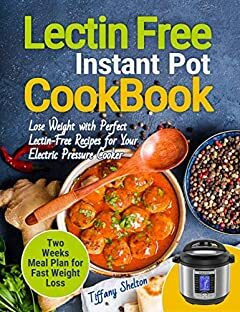 Just follow Lectin Free Cookbook for Your Instant Pot to see positive changes in your body! You might think that lectins are abundant in meats and processed foods, but you will be more surprised that it is abundant in raw grains and legumes. They are densely found in parts of the seed that become leaves when the plant germinates and turn to a sprout. In this book, we will provide you with delicious Lectin-Free Instant Pot recipes so you will have a chance to prepare a wide range of plant-based foods without subjecting yourself to stress. Grab this ultimate guide and use the power of the Instant Pot to make lectin free cooking easy and fast!